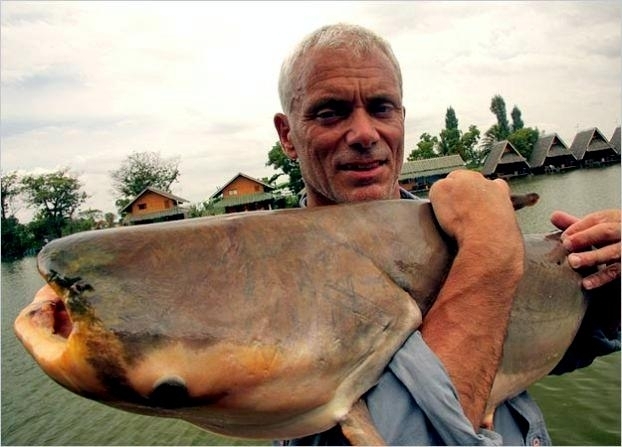 The Mekong Giant Catfish is often mistaken for a type of shark. 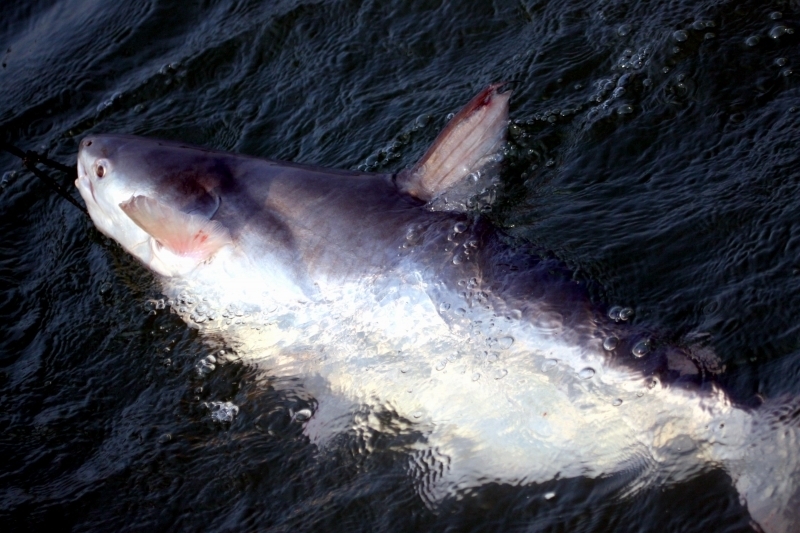 They can be very large, up to 10.5 feet long and with a weight of up to 660 pounds. 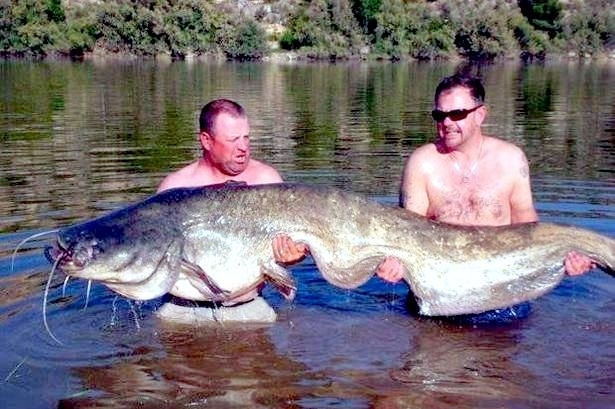 It is considered to be one of the largest freshwater fish in the world. 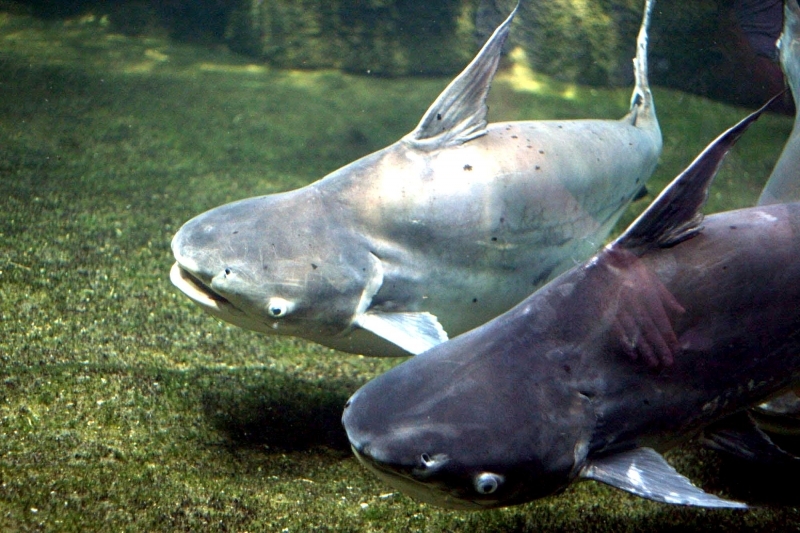 The color of the Mekong Giant Catfish is a light-gray with silver at the top and the bottom is a yellow or a white-cream color. 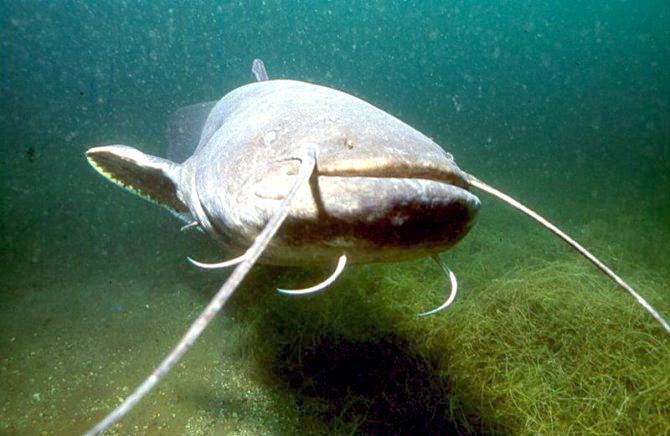 They don’t have any teeth which is interesting and are the only species of catfish that don’t have any teeth. They have eyes that are very low set on the face. Barbels are present on the juveniles however as they get older and they mature, those will disappear. 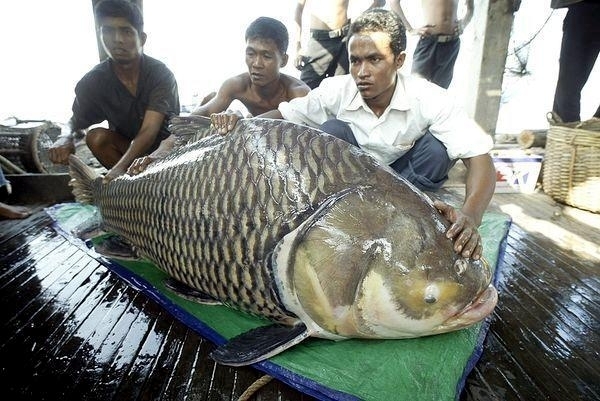 They live in the Mekong Basin in Southeast Asia where they tend to live in the deeper areas of the water. They also live in many areas where the water flows very fast. 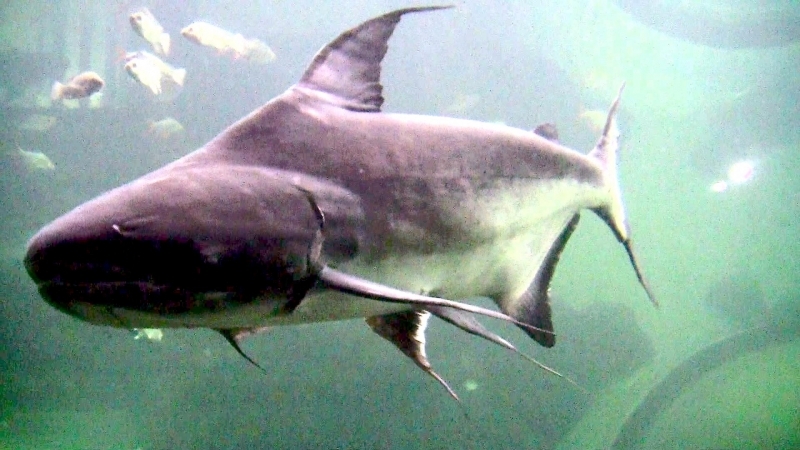 They are hard to see though due to where they live in the water. 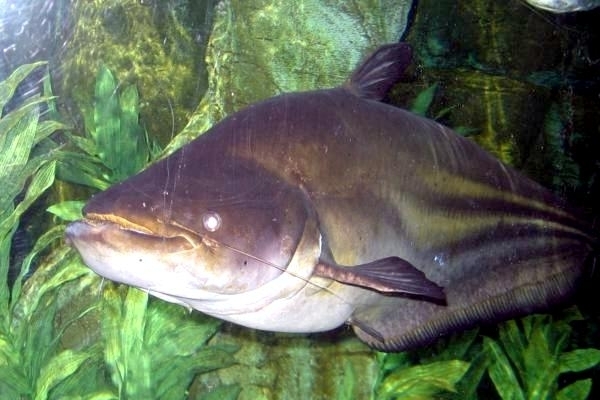 Mekong Giant Catfish are often found at the lower parts of the water for feeding. There is estimated to only be a few hundred of the adults left in the wild at this point in time. 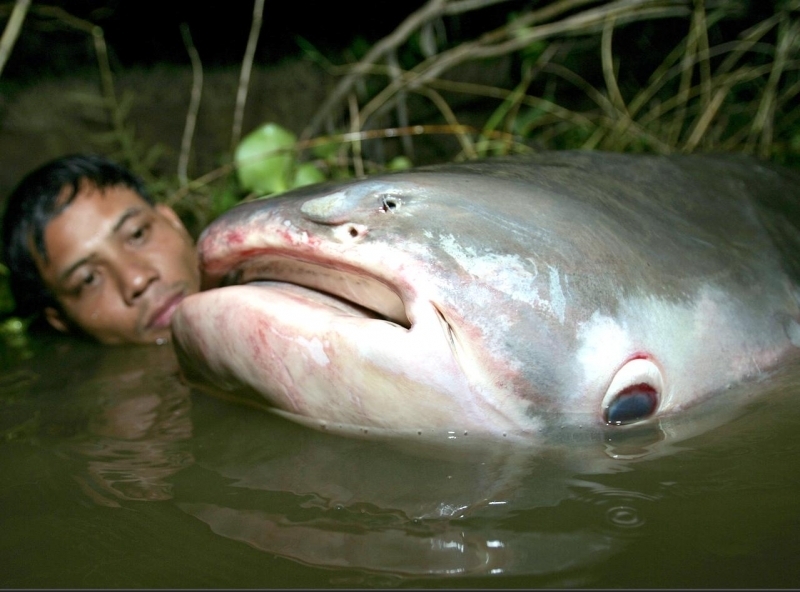 There is a great deal that experts still don’t know about the life of the Mekong Giant Catfish. Many of the behaviors that it takes part in remain a mystery for it. They aren’t believed to be aggressive in terms of behavior however, they are known to be very powerful. They do migrate a large distance annually. They cover long stretches of the river as they need specific types of environments for spawning & breeding. 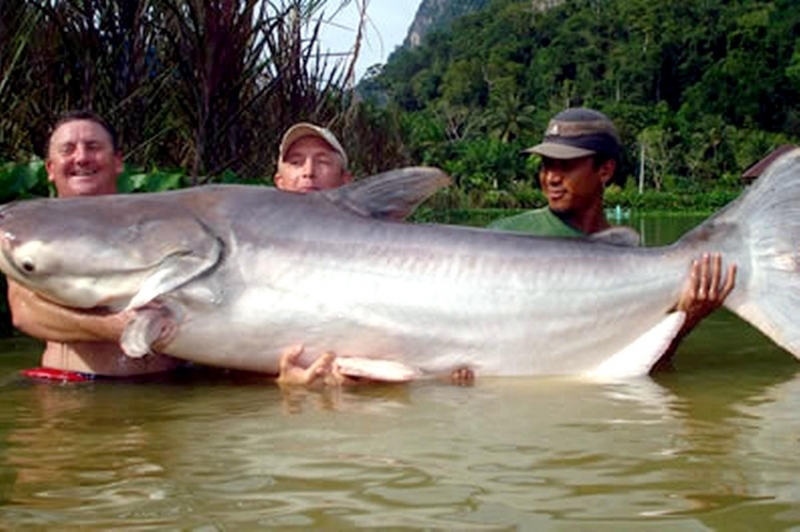 When the Mekong Giant Catfish are young they will dine on various forms of zooplankton. When they are about 1 year old, they will start to change their diet and consume lots of algae. They also consume plants from the bottom of the water. They spend a great deal of time consuming food as they need volumes of it to meet their nutritional needs. 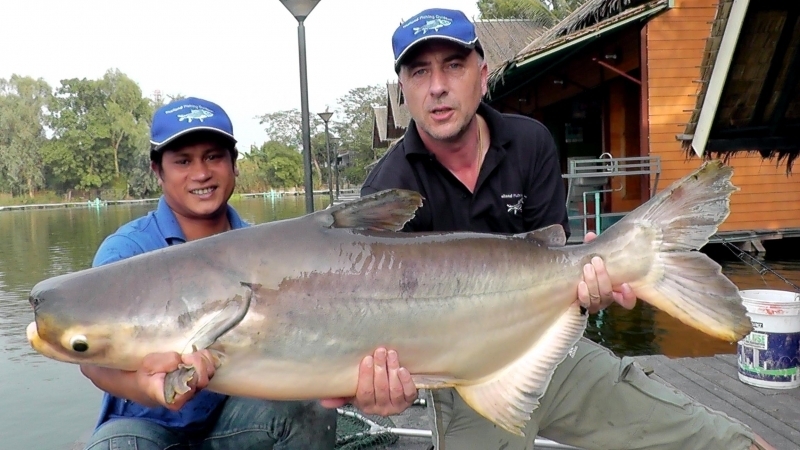 As the rainy season begins, the Mekong Giant Catfish will start to spawn and move upstream. Only the larger ones will be able to mate as size is what determines it, not their age. They do grow very quickly though and most of the time they are able to mate by the time they are 6 years old. 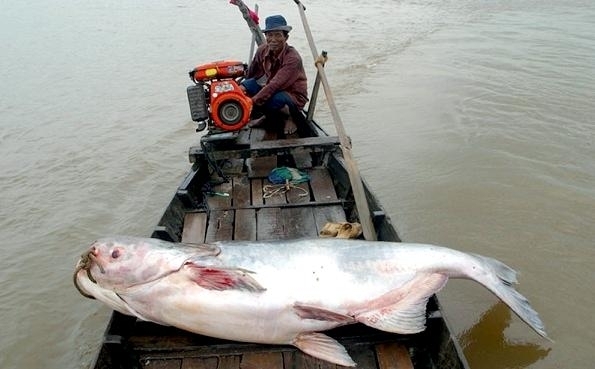 The Mekong Giant Catfish is considered to be critically endangered at this point in time. It is believed that in the past 15 years they have lost at least 80% of their habitat. There are efforts in place to help them but many worry that it is too late for them to get their numbers high enough in the wild. 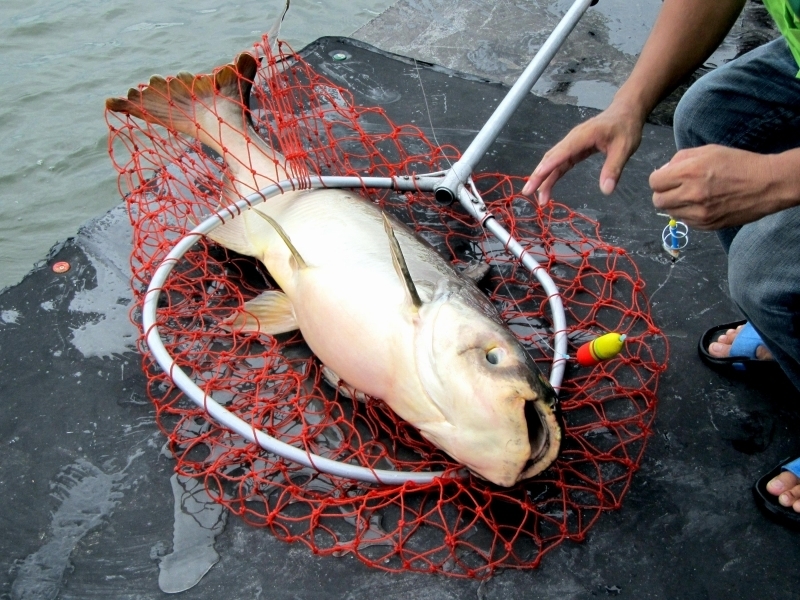 There are bans on catching this fish in various locations but the laws aren’t enforced so the process of taking them continues. 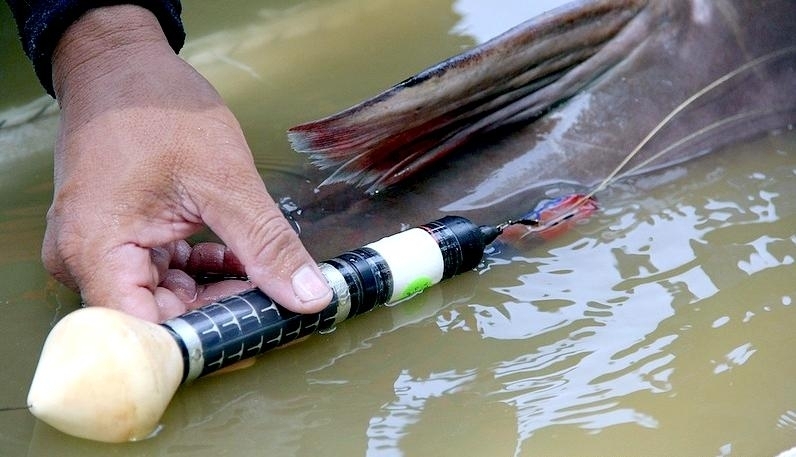 Some of the conservation efforts including breeding the Mekong Giant Catfish in captivity and then releasing them in the wild. 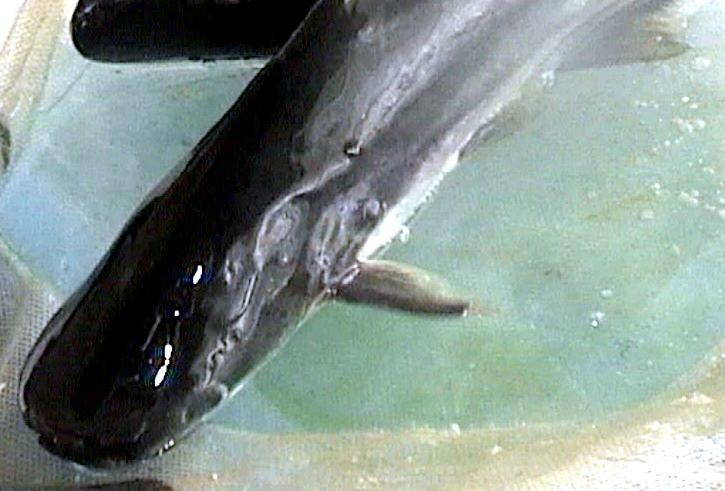 Even when the conditions in captivity are replicated, they don’t seem to do well once they are released again. This has created some tensions as the conservation efforts aren’t working as planned. With that in mind, the direction has changed to work on helping those that are thriving in the wild to reach the age of maturity. There are advocates that roam around the fishing areas. 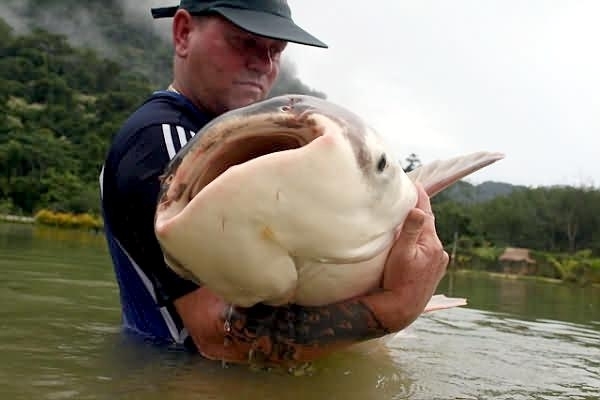 They are quick to report anyone that is taking a Mekong Giant Catfish but if the authorities aren’t willing to act fast then it may not be something that helps. 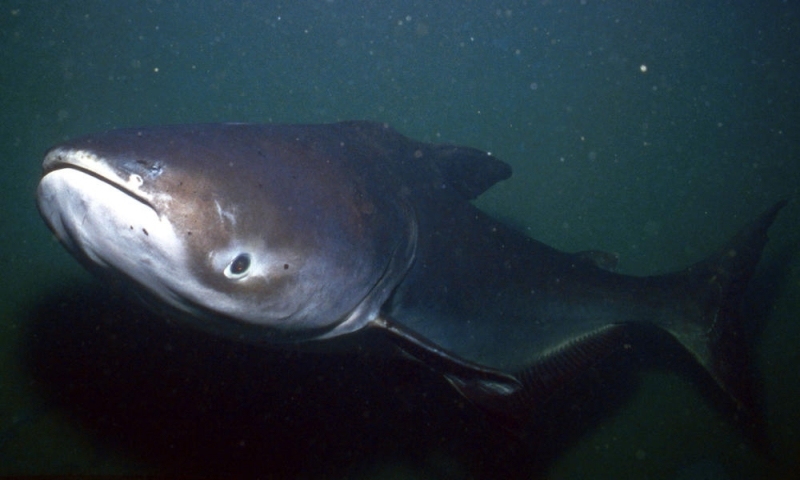 The Mekong Giant Catfish was once abundant in the 1900’s, but in the 1970’s local fisheries began to report the disappearance of the species. 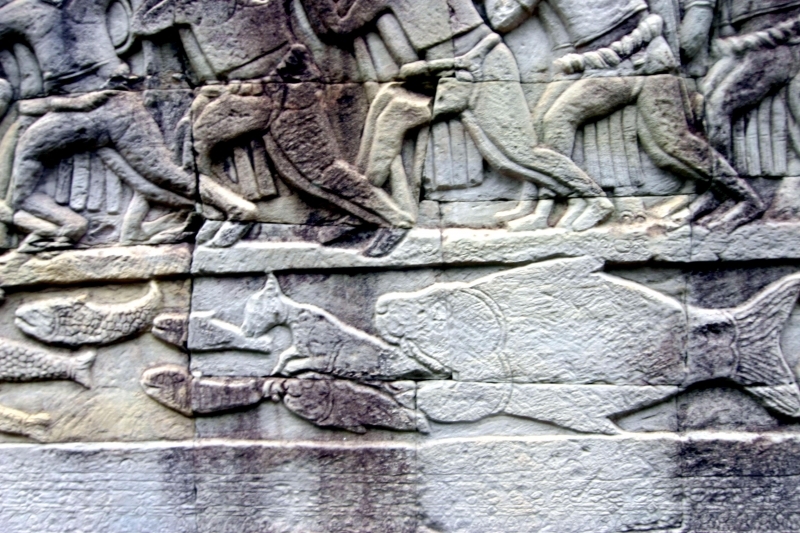 Mekong people believe it’s a sacred fish, because it persists on plant matter and meditates in the deep, stony pools of the Mekong River somewhat like a Buddhist monk. 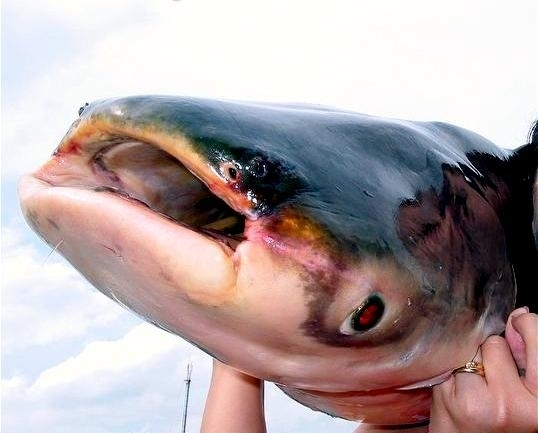 Mekong Giant Catfish attract high prices in Thailand, because eating the fish is supposed to bring good luck. 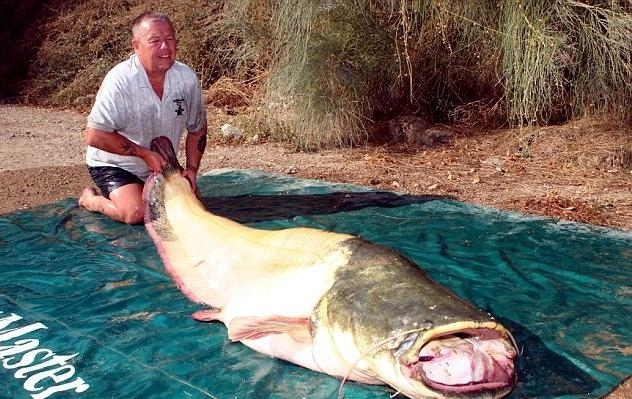 Likewise, the Chinese believe that catfish meat boosts intelligence and prolongs life. 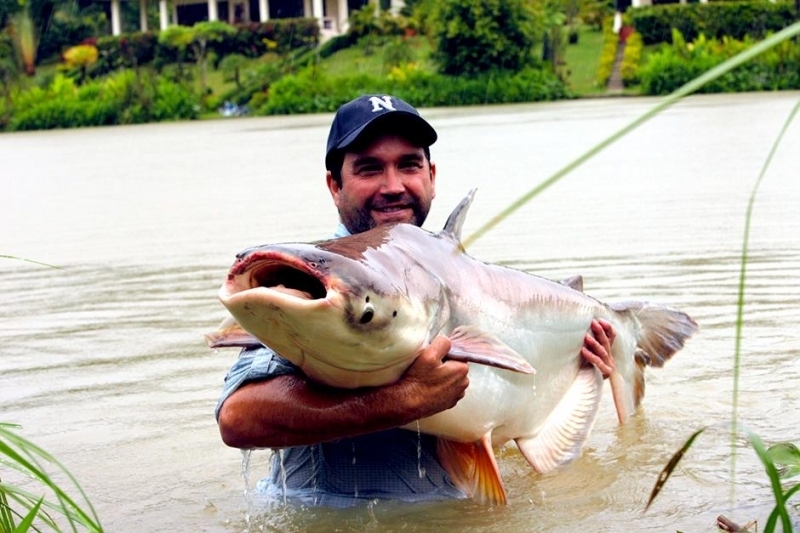 Mekong Giant Catfish also known as Thailand Giant Catfish, is the largest freshwater catfish in the world. 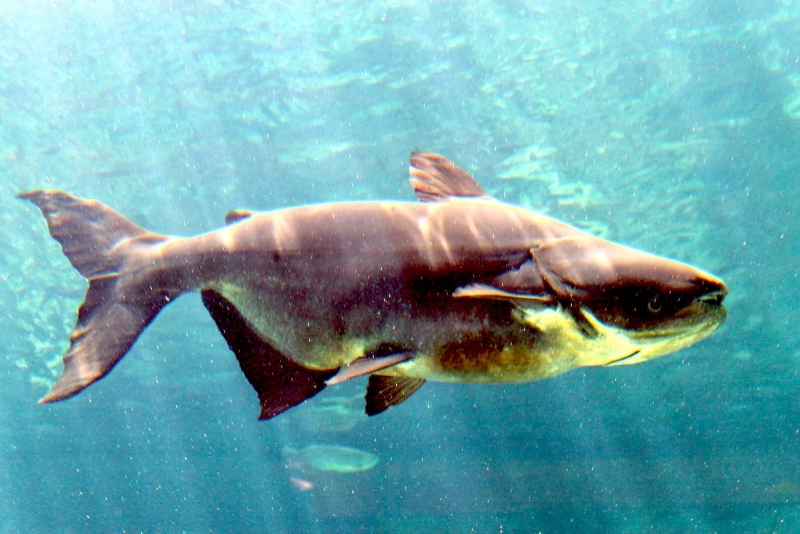 Once abundant in the Mekong River, the Giant Catfish population has reduced drastically in last few decades and now this species is considered as Critically Endangered. 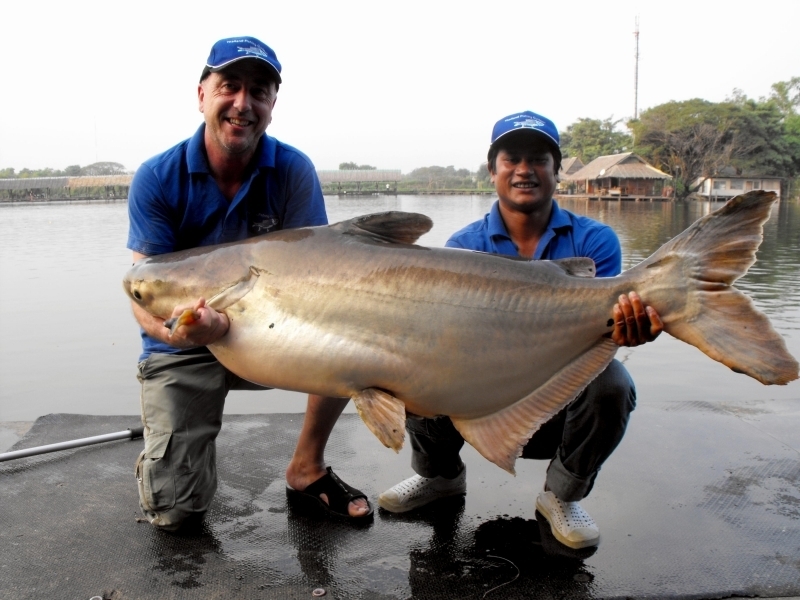 Mekong Giant Catfish are endemic to the middle and lower basin region of Mekong. 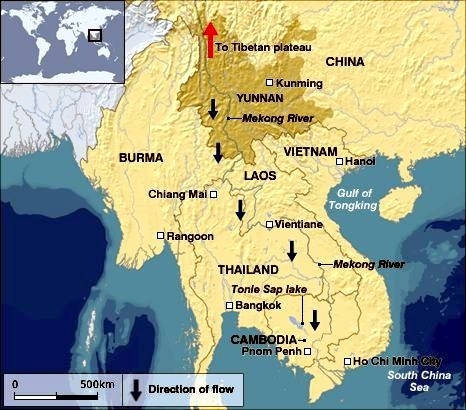 Originally the fish had a natural range that reached from the lower Mekong in Vietnam all the way to the northern reaches of the river in the Yunnan province of China, spanning almost the entire 4,800 kilometers length of the river. 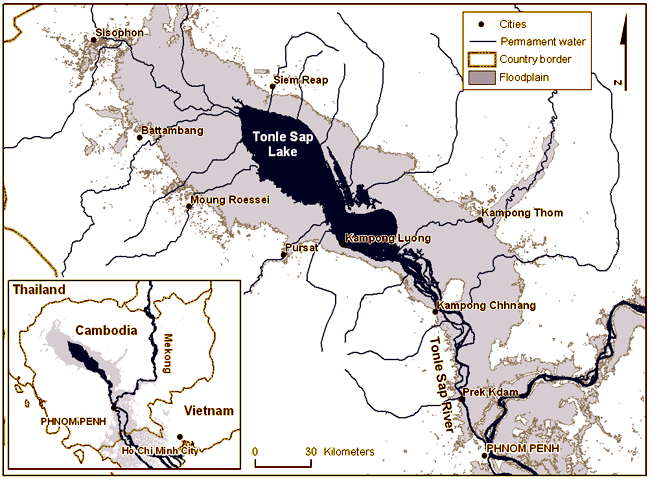 Due to threats, this species no longer inhabits the majority of its original habitat; it is now believed to only exist are small, isolated populations in the middle Mekong region. 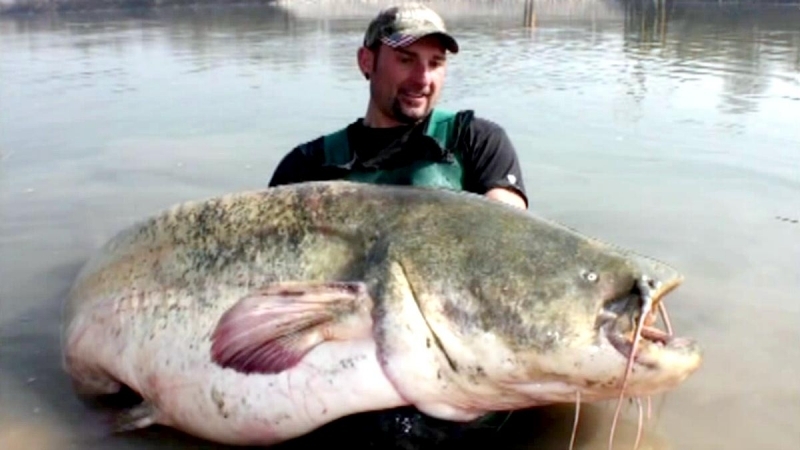 It is a migratory species and can only thrive in freshwater. 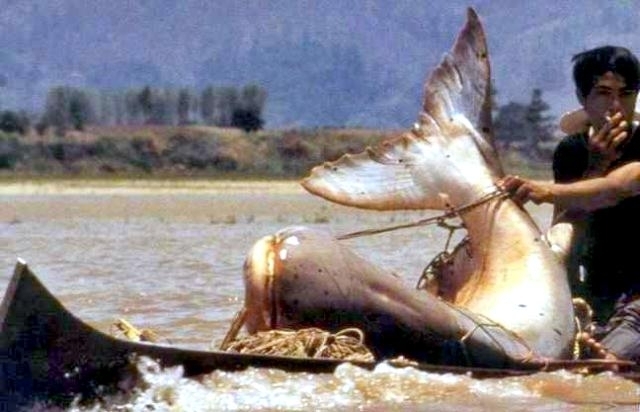 Each year from October to December, this fish moves out of the Tonle Sap Lake in Cambodia into the mainstream of the Mekong River. 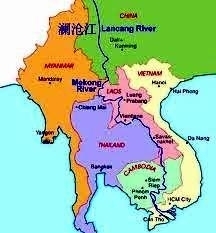 From there, it is believed to migrate upstream into northeastern Cambodia and possibly Laos or Thailand to spawn. 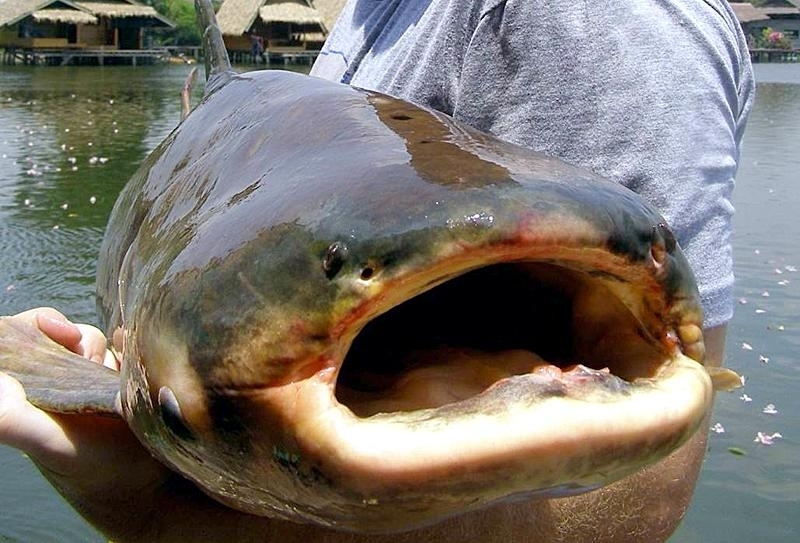 The Mekong Giant Catfish can also be seen occasionally in the Chao Phaya River. When feeding fish at the Bangkok temples along the river, the fish will be seen at times. 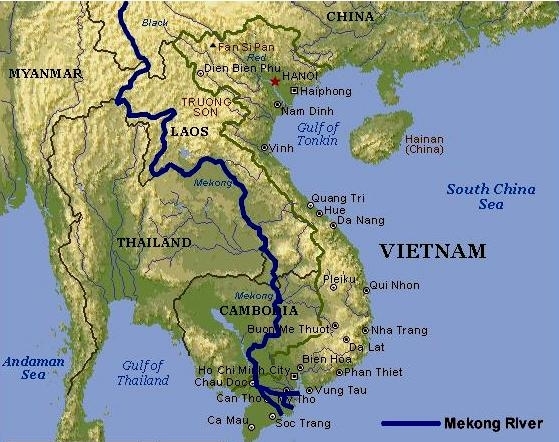 The quality of the water in the Mekong basin has been reduced due to development & upstream damming by China. 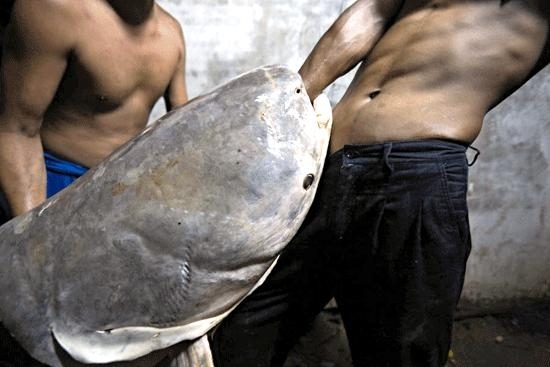 Fishing has been banned in Thailand, Laos and Cambodia but the ban has helped little. 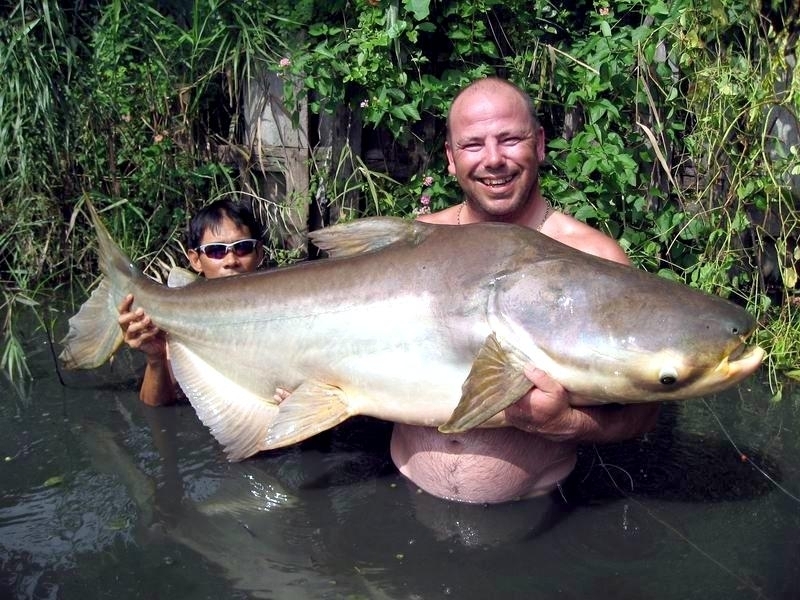 In Thailand for example, fishing for this specie is allowed from private stocks of Mekong Giant Catfish. This helps save the species as lakes purchase the small fry from the government breeding program, generating extra income that allows the breeding program to function. 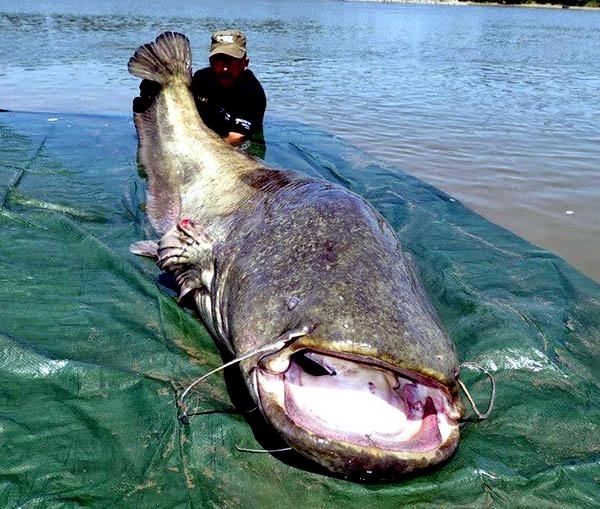 Presently research projects are ongoing, but relatively little is known about the Mekong Giant Catfish. 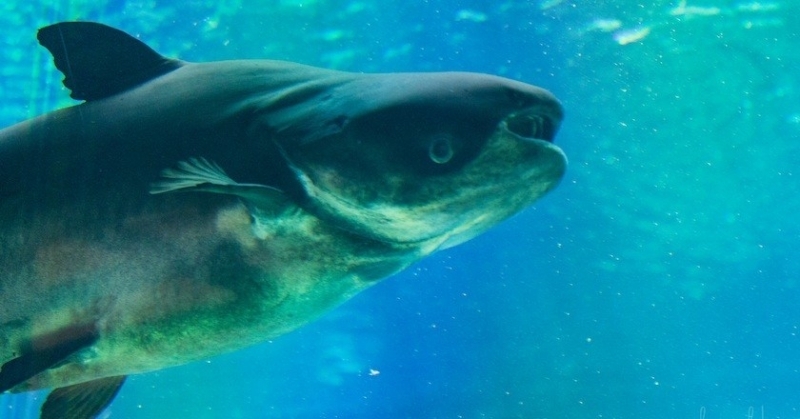 The infant feeds on zoo plankton in the river and is known to be cannibalistic too. After reaching 1 year of age, the fish becomes herbivorous feeding on filamentous algae probably ingesting larvae & periphyton. 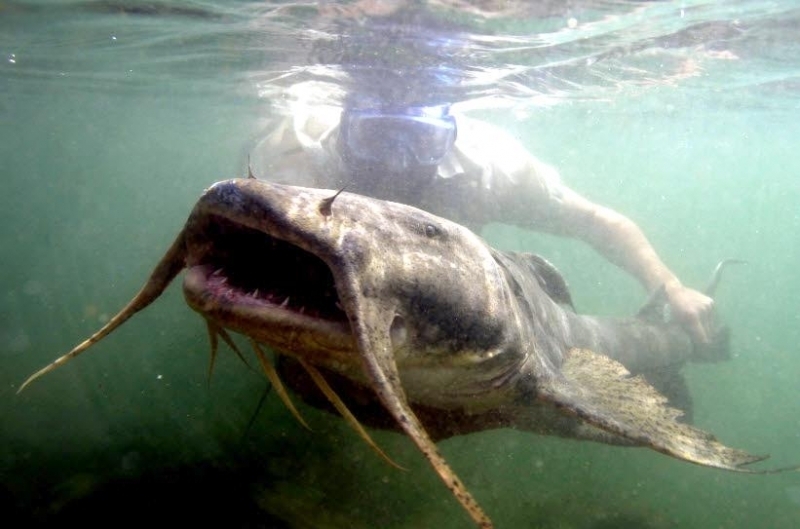 The Mekong Giant Catfish likely obtains its food from algae growing on submerged rocky surfaces, as it does not have any sort of dentition. Very little is known about its reproductive behavior. 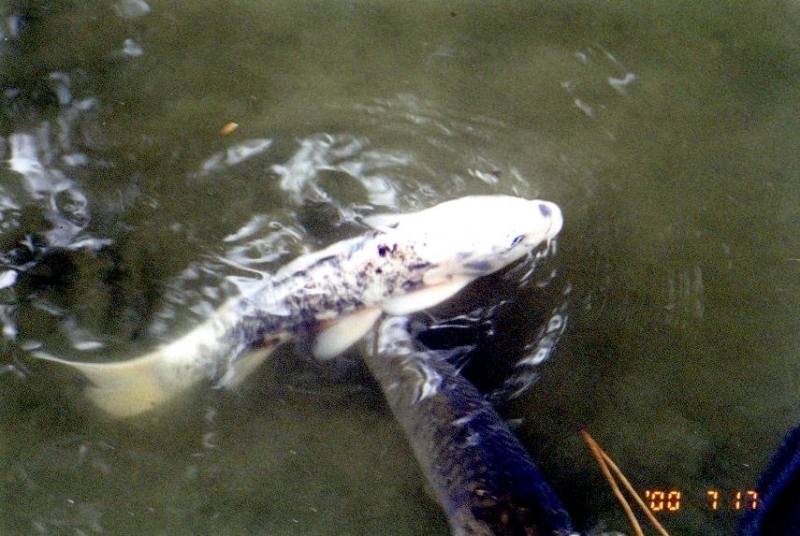 It is believed that these fish congregate during the beginning of the rainy season and migrate upstream to spawn. 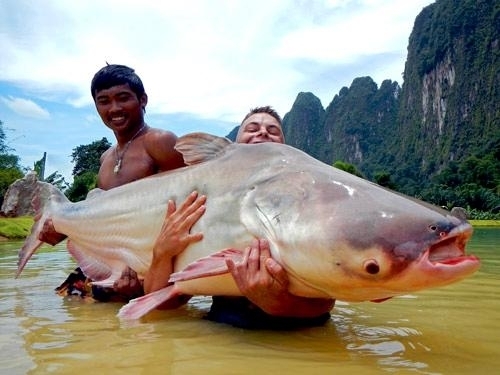 The largest ever recorded Mekong Giant Catfish caught was in 2005 in the Mekong River and was nearly 2.7 meters (9 feet) and 293 kilograms (646 pounds).